The Greek word "philosophy" translates to the "love of wisdom." Socrates, one of the western world's more prominent philosophers and thinkers, considered himself wise because he admitted that he knew nothing. The other Greeks to follow him, namely Plato and Aristotle, helped to define our foundation for thinking and for understanding our world, both scientifically and intellectually. And generation after generation of mankind has produced its philosophers who grapple with the meanings of life and reality that ultimately define the perspective of each era. Although philosophers are famous for wrestling with difficult, often unanswerable questions about life, it has been the responsibility of each generation to deal with these questions themselves. Those previous philosophers are dead, but they left behind their thoughts and their pens so that today's thinkers can pick up where they left off and continue in mankind's rich tradition of considering the deepest and most fundamental aspects of our existence. With your Associate's Degree in philosophy, you will become equipped with the essential skills and philosophical background to become actively engaged in this vigorous and essential field. Like other liberal arts degrees, an Associate's Degree in philosophy equips you with a unique and essential skillset that will help you to thrive in any number of career opportunities. While individuals with a more career-specific major will acquire knowledge strongly related to their one particular field of focus, a philosophy degree aims that building within you a solid foundation of thought that in many cases other degrees just don't provide. Employers today are looking more towards individuals who have the ability to think, learn, and communication, knowing that a lot of the job-specific information can be picked up on the job. In particular, the skills associated with an Associate's in philosophy include critical thinking, argumentation, communication, information management, strategy, research, and administration. Of course, these skills are acquired through an in-depth look at history, types of philosophies, and other philosophers. Get an overview of any of the training programs below to get started. Many people might not expect it, but those who have a background in philosophy often perform among the highest of those who take standardized examinations like the LSAT or the GMAT. And it's not because philosophy teaches information specific to these assessments it's because of the foundational skills in thinking and communication that are heavily reinforced in this arena. This is exactly the trend that employers are picking up on, and careers in many different fields are wide open for those with a philosophy degree. Administration and management positions heavily rely on those with good critical thinking and communication skills to effectively manage personnel and make essential decisions. Utilizing these stellar communication skills is also important for all kinds of writing, including journalism, sales, editing, and technical writing for companies and governmental organizations. And other areas in government, such as consulting, policy making, and analyzing are all essential to the effective operating of the system and its people. Those who have a background in philosophy are those who have a background that provides them with a strong skillset for deep thinking and communication that other majors simply don't offer. So while you might not necessarily find yourself engaged in rigorous redefining of reality, like Plato, Descartes, Nietzsche, Marx, and other notably philosophers have done, you will be equipped with the skills of research, thinking, argument, and communication that will continually help to shape our world for the better. When you earn your Associate's Degree in philosophy you will have prime opportunities for employment in a variety of institutions. And as we all know, good thinking leads to action. 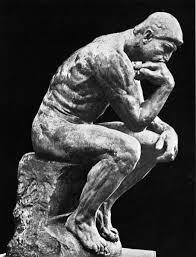 So it's time to stop pondering and start doing by enrolling in an Associate's Degree program for philosophy today.